Two of the most popular iPhone photography apps, Hipstamatic and Instagram, have unveiled a partnership that is meant to please their users: you can now share your photos taken with Hipstamatic directly to Instagram. Note that this is different than how some apps let you open photos in Instagram. Hipstamatic is now the first app that lists Instagram as a social network (right between Twitter and Tumblr) and publishes them to the service with the just the tap of a button. 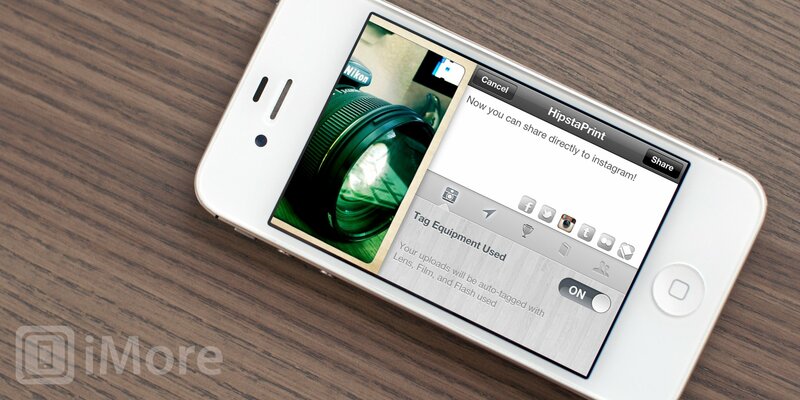 Hipstamatic is a photography app that focuses on creating images that mimic the look of analog, toy cameras. It comes with different lenses, films, and flashes that work together to make unique, vintage looking photos. After "developing" your photos, you can then share them to other social networks -- now including Instagram. Instagram is an iPhone app that not only works as a camera, has a wide selection of filters to add to your filters, and lets you share to services like Twitter and Facebook, but it's also a social network in and of itself. You can make friends and leave comments and "likes" on photos that appear in your stream. Sure, there's some overlap between the functions of the two apps and many have viewed them as competitors, but the truth is that there's a lot of users that use both Hipstamatic and Instagram on a regular basis and with the same photos. It's not uncommon for someone to take a photo with Hipstamatic, then upload to Instagram without applying one of Instagram's filters simply because they like the social network aspect of Instagram. It's great to see Instagram and Hipstamatic work together for the benefit of their users. As part of the agreement, any photos that are published to Instagram via Hipstamatic are marked as being "taken with Hipstamatic" and users can choose to include hashtags indicating which hipstamatic equipment they used. It's so refreshing to see two companies work together in a way the compliments each other rather than just competing against each other. It shows that they truly have their users in mind.